I first met Firas in March 2016, when he was 29, in a Syrian café in Gaziantep, southern Turkey, where he was in exile, about 250 kilometres from where he was born. Firas was dressed casually, brownish hair turned dark with gel and styled a bit like Cristiano Ronaldo, his footballing hero. Firas had the cobalt-blue eyes of a Siamese cat. 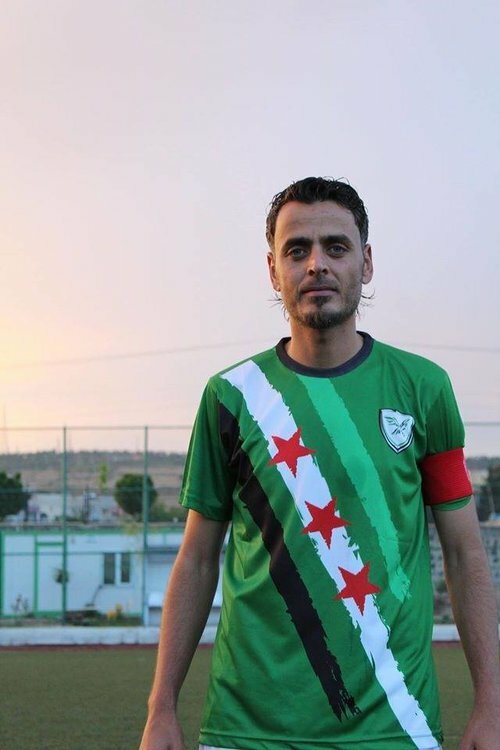 As a footballer, Firas witnessed some of the nepotism and corruption of Bashar al-Assad’s dictatorship first-hand – players who were picked because of their connections with the regime rather than their talent. Firas had felt critical of Assad, but he had kept quiet, as did most under the terror of Assad’s mukhabarat, the secret police. But when the revolution broke out, Firas joined the protests, covering his face to hide his identity. He got into arguments with teammates who had continued to support Assad, even as the dictator’s security forces bore down on peaceful protesters with extreme violence, brutality that soon ensnared his family. His 19-year-old cousin was killed at a protest – the bullet entered his eye and came out of his head. His niece was killed – completely vaporised when a barrel bomb fell directly on her house. As months went by, the protests continued and the repression intensified, giving way to an increasingly complex, factionalised civil war as the opposition took up arms. Firas’s hometown of Kafr Zeita, near Hama, became associated with the rebel Free Syrian Army (FSA). Despite being a police officer, Firas’s brother was arrested because of his connections to the rebellious town. Meanwhile, Firas remained in Damascus, where he would hear gunfire during training. The stadium was converted into a military base for the regime. While on a training camp with the national team he watched from the window of his hotel as smoke rose from shelling across Damascus. One day he found out that another of his cousins, just 13, had been killed by the security forces. Half an hour later he joined the rest of the team for dinner – one teammate mocked the protesters and Firas lost it: he had to be pulled off him. Firas couldn’t take it anymore; it was time to defect. Click here to read the rest of the article published by the Independent.